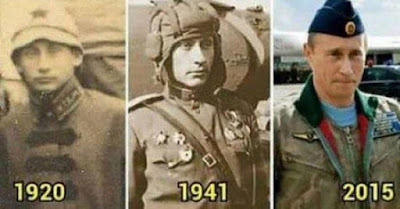 There's definitely something weird going on here with these celebrities. 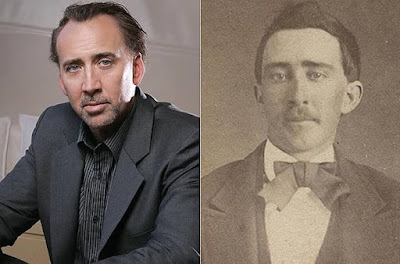 The picture of the man looking identical to the infamous actor Nic Cage dates from around 1870. To the left is a portrait of a man named Paul Mounet, who was born in 1847. He “died” in 1922 under mysterious circumstances, and his body was never found. Mounet worked as a scientist and then became an actor. 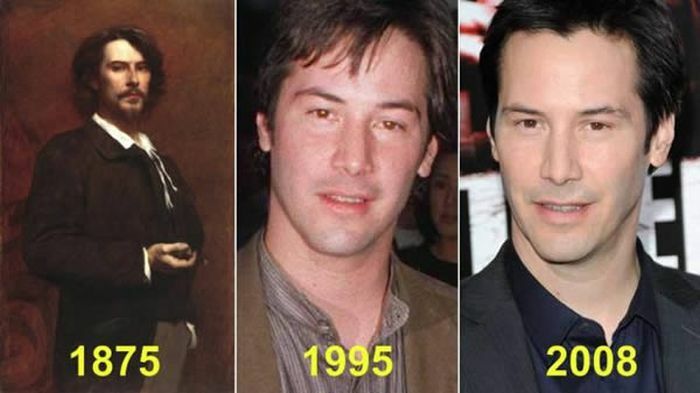 There's speculation that he left the science field because he didn't want his immortality discovered. 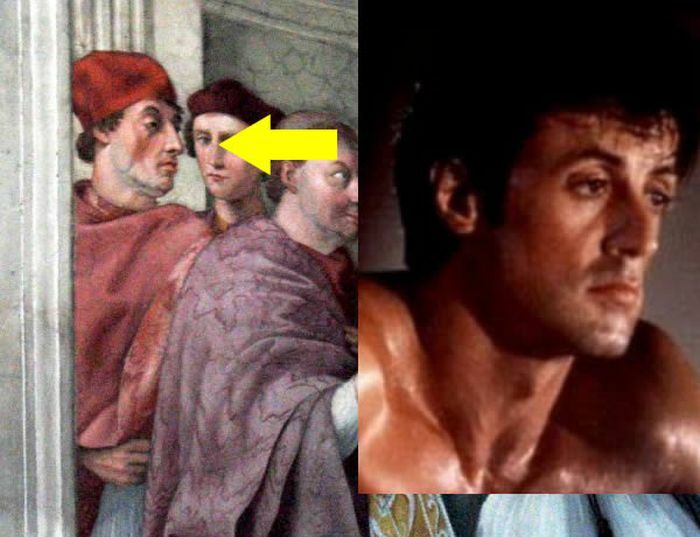 He instead faked his death and went into hiding. John Travolta, who is a member of the Church of Scientology and believes in reincarnation, "appears" in an antique photo discovered by a collector in Ontario, Canada. 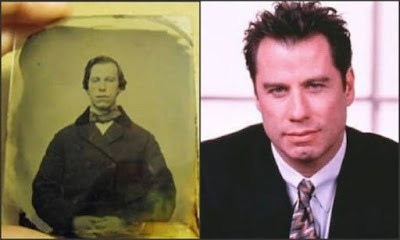 The picture was taken 150 years ago, and it is on sale on eBay. 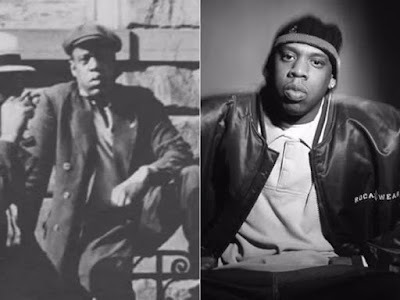 A photo from New York Public Library's Schomberg Center that was taken in Harlem in 1933 shows a man who looks an awful lot like famous rapper Jay-Z. 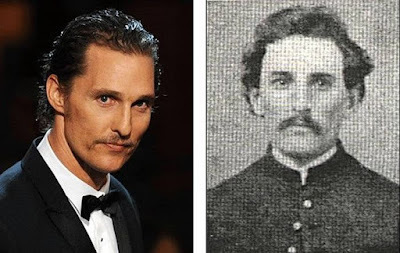 Matthew McConaughey has the same chiseled features of this Union officer. 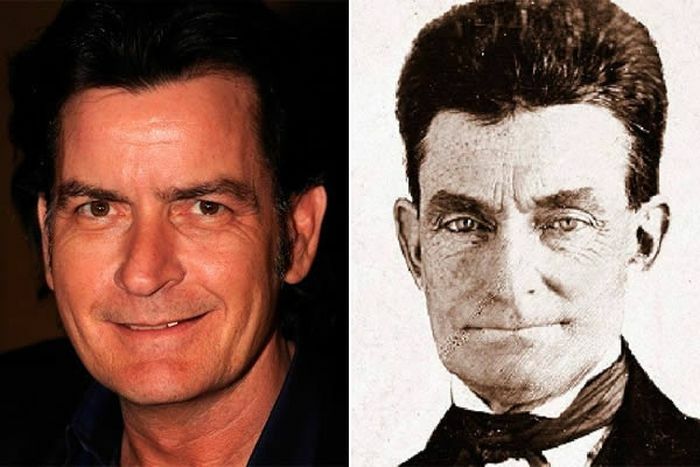 Call it a bizarre case of time traveling — John Brown (r.) worked to abolish slavery in the mid-19th century, but Charlie Sheen has merely tried to abolish all forms of sanity. Nevertheless, the two look eerily similar to one another. 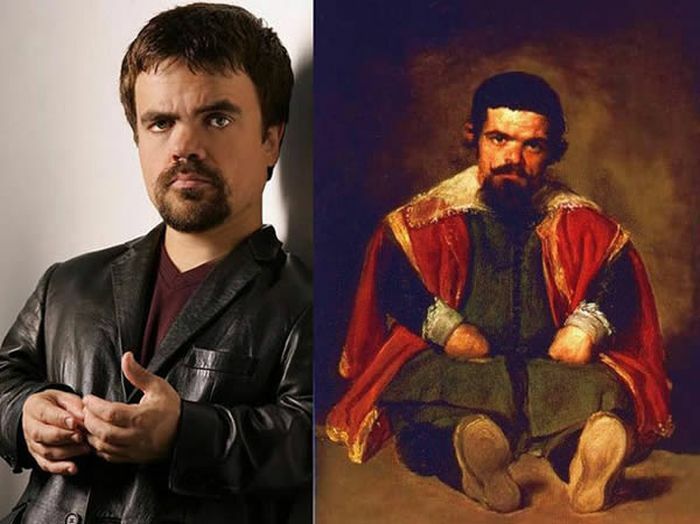 The Portrait of Sebastián de Morra by Diego Velázquez is a painting of a court dwarf and jester in the court of Philip IV of Spain. It was created around 1645. Conspiracy theorists are convinced by the evidence above that the Russian president may have been alive for more than a century.